Rebecca’s Soho store (96 Greene Street) is home to her Superwoman story sessions. Various women come to share their career stories. The store is small but mighty. Walking in everything is crisp and organized to a tee. I absolutely love a majority of stores in Soho with this look and feel. A rack of only one item just exudes luxury and detail vs a fixture with an entire size run. Upon walking in there is a table with champagne. The back of the store is turned into a little studio. Two chairs are centered and the audience lineup of chairs follows. Rebecca is no stranger as she is there right in front of us all just a few feet away! My friend Steph who went with me actually interned for Rebecca Minkoff. Guests after are also welcome to ask Rebecca or the guest speaker any questions and or ask for a photo. I did not do either, but it is on my list to do next time! Kristen is the Editor in Chief of The Knot. In case you are not well versed in the world of weddings, The Knot is a huge publication with everything bridal. There is even an advice tab! Essentially The Knot is your wedding Pinterest + Instagram + Registry + Advice + Planning Tools + Vendor Locator all in one. Kristen Maxwell Cooper, started off as many girls do…. aka very far away from New York City, when a New York City job is the dream. She attended Kansas University. With a journalism major, writing for a magazine was the dream. Although her first opportunity to get to NY was a Production Assistant role for MTV, she did not want to turn down any chance at a foot in the door. On the side she also was also able to showcase her skills by Freelancing. InStyle Magazine was one of her clients for freelancing. Throughout her time in New York after moving here full time she made things work on a budget. The little things make such a difference! My favorite tidbit was when she mentioned that her sister would fly in and stuff her suitcase with various items from Costco for Kristen to have. This would be anything from a bunch of tampons to granola bars. 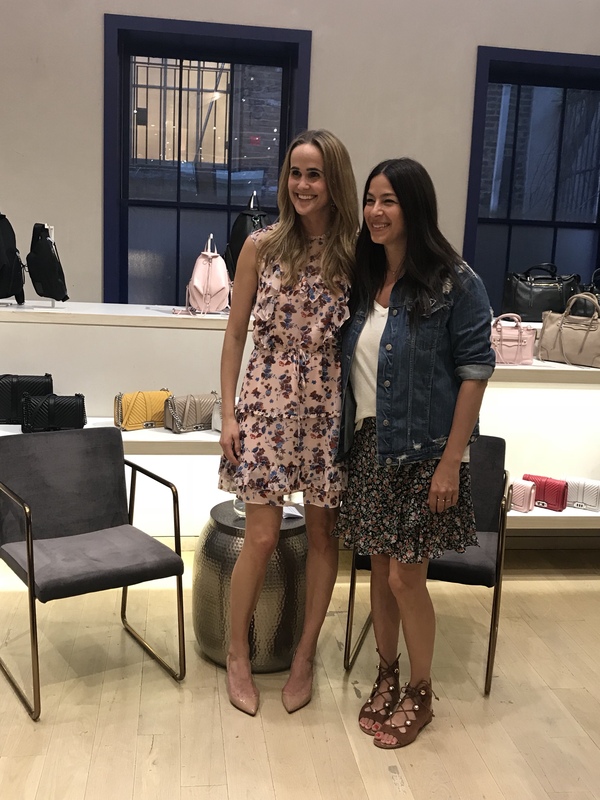 After proving her work ethic in the cut throat writing and editing career path in NYC, she worked for Shape Magazine, Ralph Lauren, Style Watch and then The Knot. She started as the Deputy Editor, moved onto the Executive Editor one year later, and then one year after that became the Editor in Chief. She has reached the “golden” level of her career. Although a high status job is never easy, but it does fuel her! She loves her job and the ups and downs that come along with it. 2-A new gifting trend is to not get gifts through a registry, but instead ask for money. These donations can vary from donations to charity in full if the couple is financially set, to just asking for funds to cover the honeymoon, or household items. Especially in New York, I mean people don’t even have room for extra toilet paper, how are they going to fut hundreds of wedding gifts? !